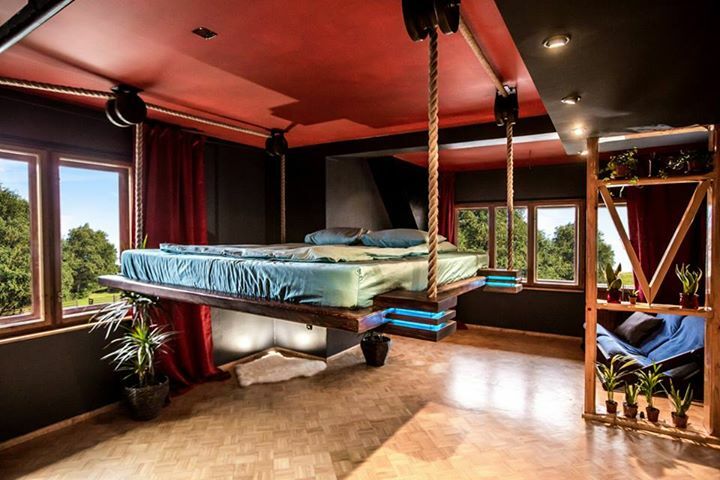 Hanging beds are seen by some as being a sophisticated version of the hammock. But they’re much more than that. Take a look at the one designed by Wiktor Jażwiec. 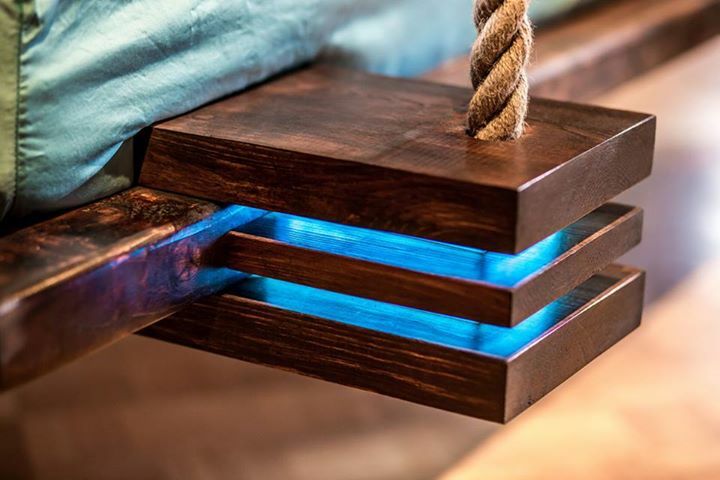 He’s a young designer from Poland who came up with the concept for a really interesting hanging bed. This one offers two positions. There’s the sleeping position and at this point all you see is a regular bed with a wooden frame. The only unusual detail are the four thick pieces of rope attached to the frame. 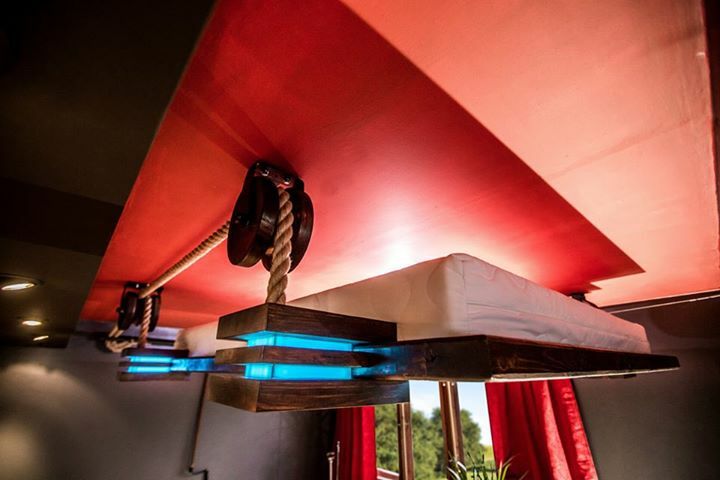 The second position features the bed pulled all the way to the ceiling. 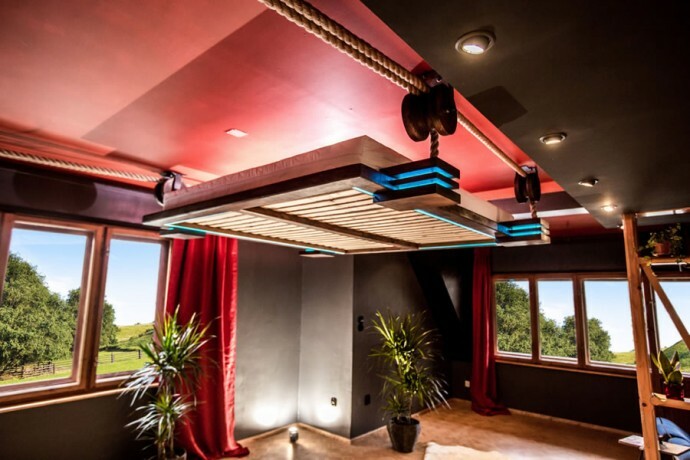 That’s when the user utilizes a pulley system to maximize the floor space in the room. An automatic up/down mechanism lowers and raises the bed as needed. The bed has to be assembled on site by the buyer. Both the size and the materials are largely customizable. The largest bed weighs around 80 kg and features extra protection designed to make it safe and secure in the pulled up position. You can choose from a variety of wood finishes, lacquers and gloss paint options in order to customize the bed. Multiple colors are available. 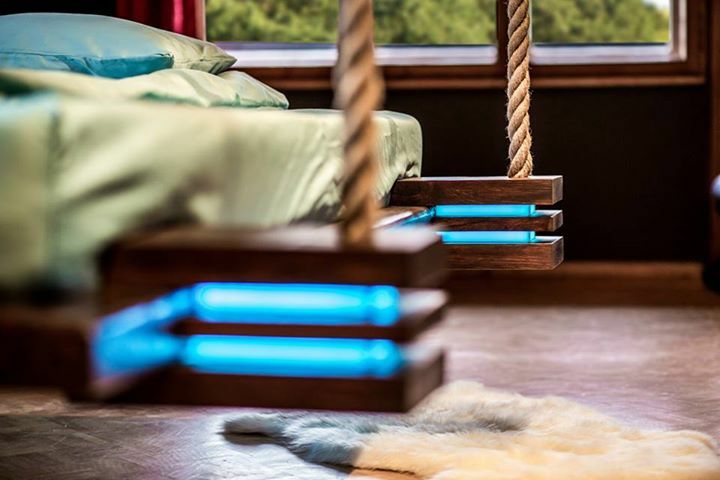 The bed comes with adjustable back lighting and the mattress is not included. I orderd the bed from Wiktor Jażwiec on Etsy. Of course I had to pay before. That was in April 2018. He sayed it will take about two weeks. Right now I´m waiting over 6 Months and don´t get the bed , my cash back or even an answer from Wiktor Jażwiec. Don´t do the same mistake and buy this bed. And if you really need it don´t PAY BEFORE getting the bed.